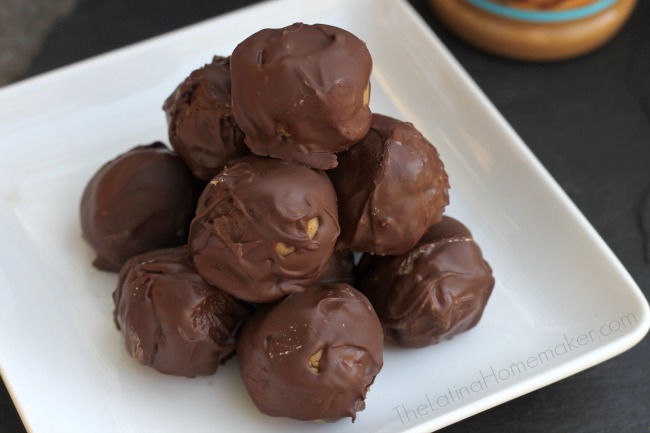 These Chocolate Peanut Butter Balls are like the ones you remember from your childhood – sweet, creamy, and decadent! This weekend we celebrated our baby girl’s birthday and enjoyed spending time with family. We also spent time together making some delicious holiday treats including one of my personal favorites – Chocolate Peanut Butter Balls. When the holiday season arrives, I find myself getting into a baking and cooking mood. These Chocolate Peanut Butter Balls is one of my favorite recipes during this time of year because it’s the perfect treat that isn’t the traditional holiday cookie, but it also makes a delicious gift for friends and family. 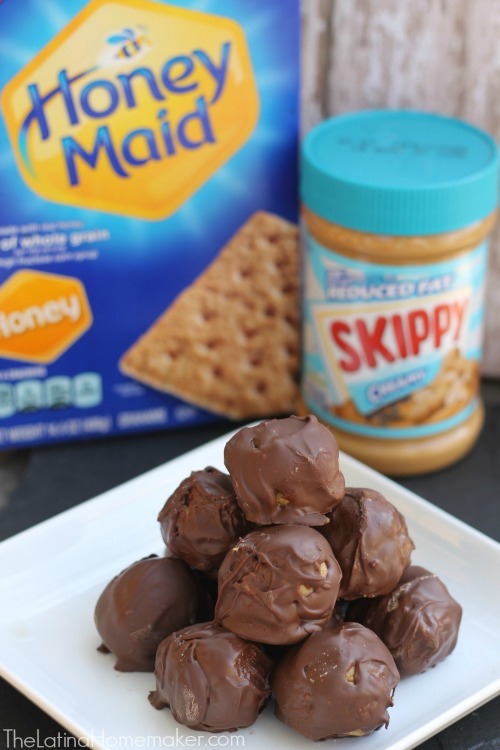 This recipe combines graham crackers and creamy peanut butter to create a delicious pairing, especially when it’s all dipped in chocolate! These yummy treats are like the ones you remember from your childhood – sweet, creamy, and decadent. Make a big batch to keep and to share! Have your little ones help you make them, they are very easy to put together and you’ll also be making lasting memories in the kitchen. These will become a favorite of your family for not only the holiday season but the entire year! What are some of your favorite holiday recipes? Feel free to share below! Place graham crackers in a blender, chopper, or coffee grinder and puree until they are a fine powder. 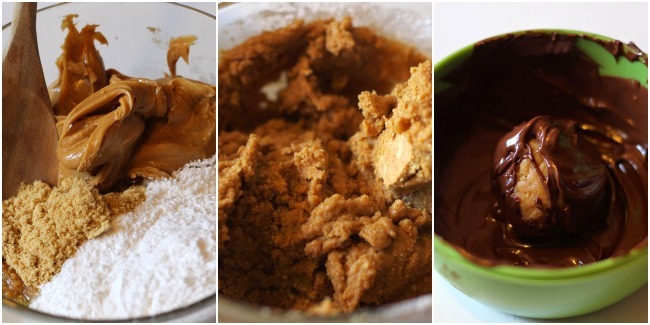 Melt butter in the microwave and combine graham crackers, butter, powdered sugar, and peanut butter until well mixed. Roll mix into approximately 1” balls, set on a plate and place in fridge until firm. 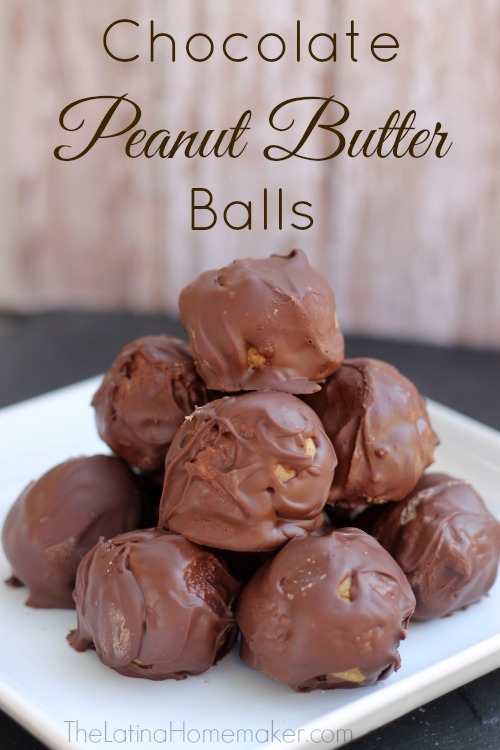 Spread out a piece of waxed or parchment paper large enough to hold all your peanut butter balls. Once balls are firm to the touch melt chocolate chips in microwave in a glass dish, heating 30 seconds at a time until fully melted. 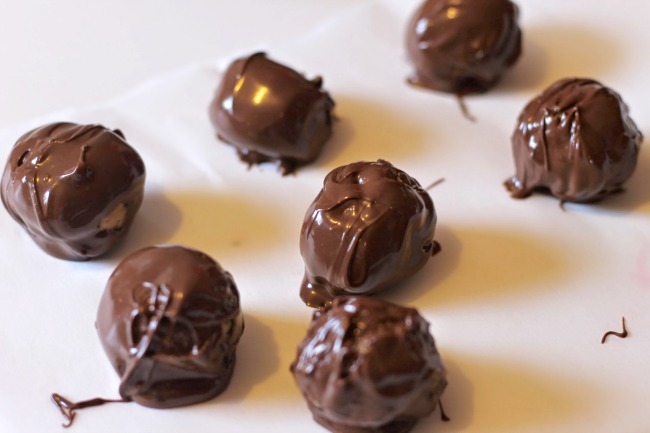 Dip peanut butter balls in chocolate and roll to coat, shake off excess. A fork is the most helpful tool for this job-use the tips to roll the ball and then scoop them out with the fork. Place on waxed paper and allow the chocolate to set, Once the chocolate sets, dig in and enjoy! These look so delicious – I love how simple they are as well! Is it supposed to be peanut butter rather than semi sweet chocolate in the line “Next, combine graham crackers, butter, powdered sugar, and semi-sweet chips until well mixed.”? I am really bad at following recipes. I think from the picture it is peanut butter, but then there is the picture of the chocolate. I know I sound like an idiot, but you should see my last attempt at cooking. Do you all the chocolate chips in with the peanut butter? I am not sure if I read your instructions correctly. Or are all the chocolate chips used for the outer covering only?